I have an incredibly bad sweet tooth and so has my little toddler. We can skip meals to have dessert. Thats my ultimate guilty pleasure. Not good I know and does’nt happen most of the times since as a baker and cake decorator I know how much ‘stuff’ goes in there so I am always looking for unfrosted, somewhat healthy alternatives that can satisfy our cravings yet are not horribly unhealthy. 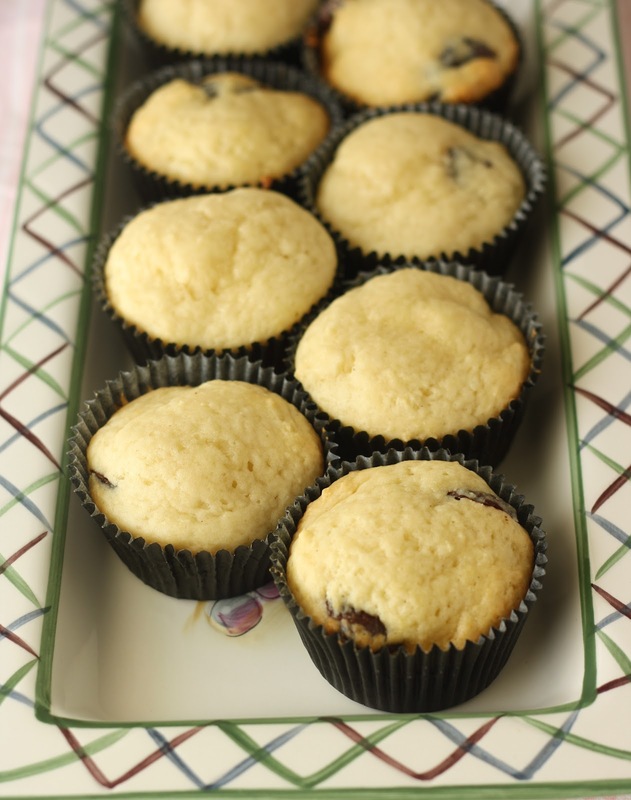 Muffins are one such treat and I try to incorporate fruits like bananas and apples and carrots (carrot is’nt a fruit though ;)) to justify the guilt. 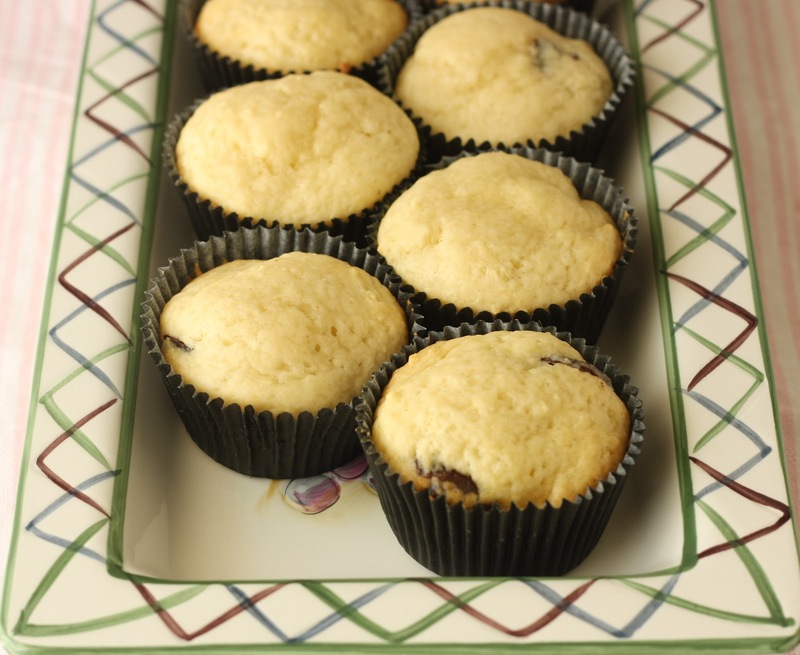 I love making muffins as they are quick to make no heavy-duty mixing required, bake and ofcourse eat. I stumbled upon this recipe and I knew they will be a keeper as it had copious amount of sour cream and less eggs. I am glad I have a to-go recipe of chocolate chip muffins. 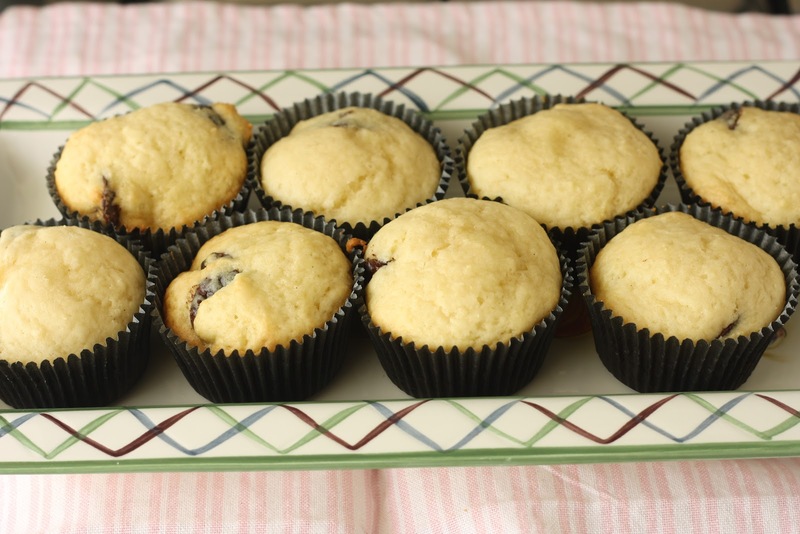 But before the recipe, a word of caution – muffins are not same as cupcakes, cupcakes are essentially mini cake preferably frosted and have high fat and sugar ratio. Muffins can be considered healthy cupcakes as they have the same shape but somewhat crumbled top (due to mixing and not beating/creaming) and are served as breakfast treats. They have generally less fat. I am a little, just teeny weeny proud of the pictures too for this blog post. I have mentioned several times that seeing work of international food bloggers/photographers, cake decorators, pastry chefs and bakers I feel a dwarf. Pre-heat oven to 350 F and line a 12 muffin cups tray with liners. Whisk all wet ingredients together. Mix in wet ingredients to dry ones until just mixed. Do not beat. Fold in chocolate chips or chopped up chocolate chunks. Wow i would love to try these today but is there anything else i can use instead of sour cream? 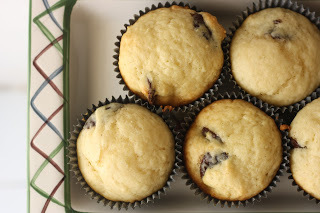 Your muffins look wonderfun – now I'm thinking I need to whip up a batch! This recipe worked wonders for me! It tastes so good! Thanks a lot! awesome yusra, i am so glad!